Tim O’Connor, along with Ford & Dougherty Property, are delighted to offer to the market for sale the circa 1870 freehold opportunity that for the past 26 years has been the iconic Penny Farthing Antiques at 151 River Street, Maclean. 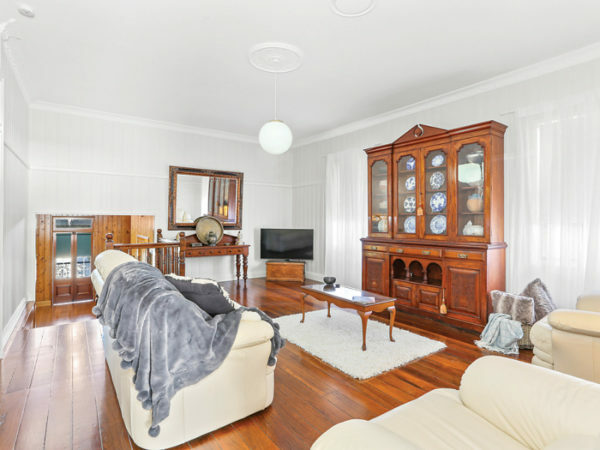 The locally significant property is steeped with history and presents an ownership opportunity rarely seen within the vibrant riverfront village of Maclean, the Scottish Town in Australia. Penny’s, which is constructed of predominately locally sourced Mahogany, Cedar and Pine timbers offers a five bedroom grand residence split across three levels. The upper level, with many distinctive features of its era, including old favourites such as intricate cornices, timber lined walls, sash windows and picture rails, houses a 26ft long master bedroom along with bedrooms two and three and the large family lounge room. 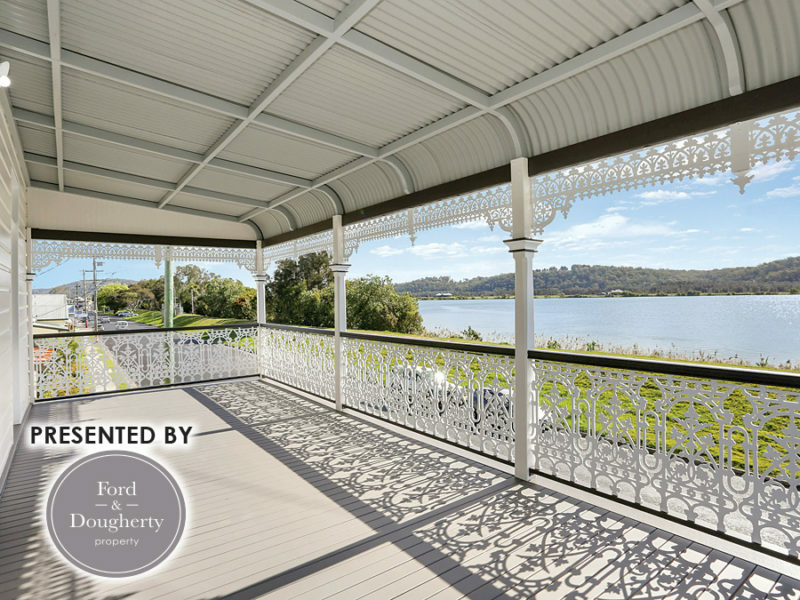 In addition the upper level also offers awe-inspiring views from the riverfront over-footpath bull nose verandah that is accessed via a central hallway or through double French doors from the master and second bedroom. From the hand turned Silky Oak timber staircase you enter the mid-level of the home, with exposed timber beams originally sourced from an old match factory in Grafton lining cathedral ceilings, this area has an open dining and adjacent kitchen which has recently been restored and features an abundance of bench space, soft close cabinetry, electric appliances, large natural light windows and a mix of timber and granite materials. The family bathroom with shower, vanity, corner bathtub and separate toilet room is also located on the mid-level and has been injected with its own pieces of history including the impressive brass detailed towel rail which was once an original old bar foot rest from a no-longer existent local pub and now sits prominent on the wall. At the rear of the home, accessed through French doors from the dining area, is a generous covered timber verandah that wraps around two sides of the building and just like the front verandah is immersed in convoluted cast iron fretwork. 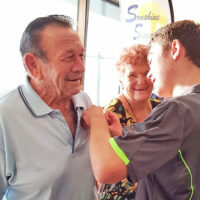 The lower level of the home offers bedrooms four and five, both of which are generous in size and continue with the thick polished timber boards that pour through the upper levels of the home. Also accessed internally from this level is the shopfront area that opens to the street side footpath and features hand restored exposed timber beams and walls along with the charming additions of the original advertising signs that are embedded into the walls from when the property housed the local grocer. The shopfront area, utilised currently by the owners as an antiques and collectibles retail outlet, has large pane glass windows that expose to the street, making it the perfect location for a future store, cafe or gallery. 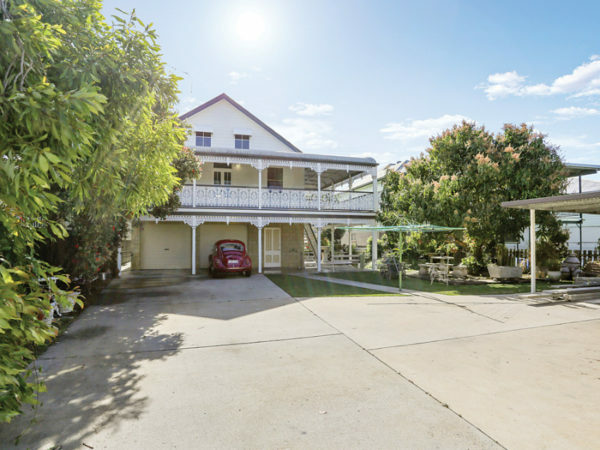 A double lock up garage with storage area, laundry and additional toilet adjoins the lower level of the home and is accessed via the rear laneway, as is the double carport. The property also offers pedestrian access from the front to the back via a side pathway and additional storage and workshop area in two generous sheds at the rear. Given the full restoration and repaint that has been undertaken inside and out, this Grand Old Dame of a property is sure to survive another 100 years. For an Information Memorandum, further enquiries or to arrange your private viewing by appointment contact Tim O’Connor on 0402 766 617.